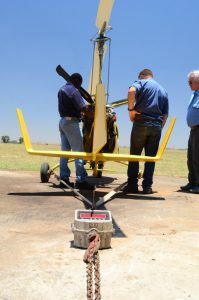 Every gyrocopter needs to undergo compulsory scheduled maintenance inspections as required by the Original Equipment Manufacturer (OEM). Wagtail is certified to help you with most of the different gyrocopter models scheduled inspection. Each model has its own schedule although similar gyros might differ slightly. Herewith a guide to the Trojans compulsory inspection hours. Manuals are available at the facility and is available as required. All gyrocopters must undergo an annual (yearly) inspection. This is calendar based. A new gyrocopter has a 25- and 50-hour recurrent inspection schedule for the first 100 hours. Thereafter your gyrocopter must be inspected every 100hours. Major maintenance inspections are carried out every 200 and 400 hours.